Progress isn't like life -- it doesn't march forward in even increments but depends on random leaps from innovators to improve the technologies we all increasingly depend on. 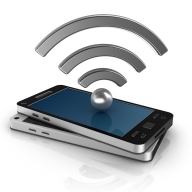 At Accuris Networks, we are fortunate to participate in an industry -- wireless communications -- where rapid change and leapfrogging forward are at the backbone of what we do. A century ago, history was poised for a major technological development that would take place in 1915: the first official transcontinental telephone call -- New York to San Francisco -- enabled by the newly invented vacuum tube amplifier. It's dizzying to think that 100 years later, humans everywhere can get all kinds of information on a little device that easily fits in a pocket. Despite today's breakneck pace of technical innovation, mobile communications is still in for some significant developments in 2015. Here are three initial predictions for what we expect to see happen next year. Just because cruise ship guests are playing and relaxing doesn't mean they don't want to use their phones. The problem is that on-board Wi-Fi is notoriously costly - guests are compelled to buy full Internet service even if only requiring voice or text services. Often ship Wi-Fi only allows for communication between apps such as iMessage and Viber and not a user’s own phone number. The downside to seeing spectacular sunsets or relaxing by the pool is that travellers cannot connect with family and friends by simply texting or calling using their own mobile phone, there’s a complicated set-up that needs to be planned before holiday-makers ever leave port. But the award-winning AccuROAM platform solves these problems while giving cruise line operators an easier, more profitable solution for text and voice over Wi-Fi services. While many rural communities might be experiencing 20th century living conditions, today’s telecommunications technologies can offer them 21st century phone service.Hotspot 2.0, though now in its infancy, has the potential for bringing cellular-like coverage to remote locations. As an enabling technology, Hotspot 2.0 should benefit carriers and solutions vendors ~ an ultimately, all those users yearning for the easy connectivity long available in cities and other built-out environments.